Description: American Crafts Tools make crafting fun when you have the right tool for the craft at hand. 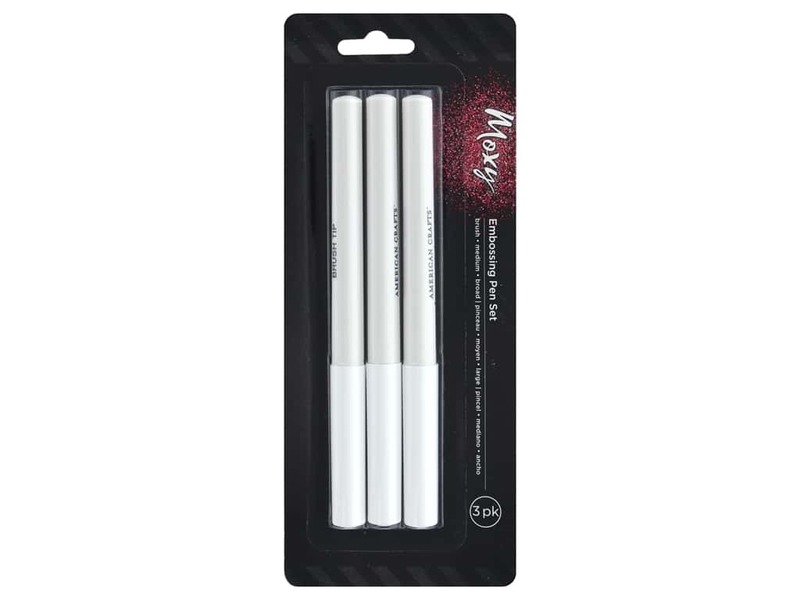 Moxy Embossing Pen 3 pc- Easily add small dabs or handwriting phrases with a slow drying ink that provides the stick needed to hold embossing powder during the melting process. Features a specially-formulated ink that goes on pink and dries clear. Includes one each of medium, broad, and brush tips.